Cufflinks, 925/000 silver. Doll's eyes, green. Four eyes see more than two! 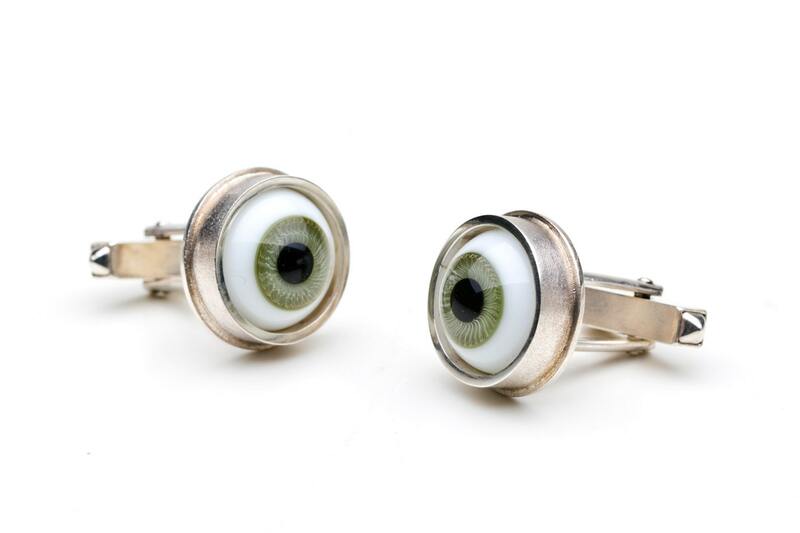 Cufflinks made of 925/000 silver and green dolls eyes made of glass, the mechanics is riveted solid. The external dimension of the socket is approx. 17.5 mm.